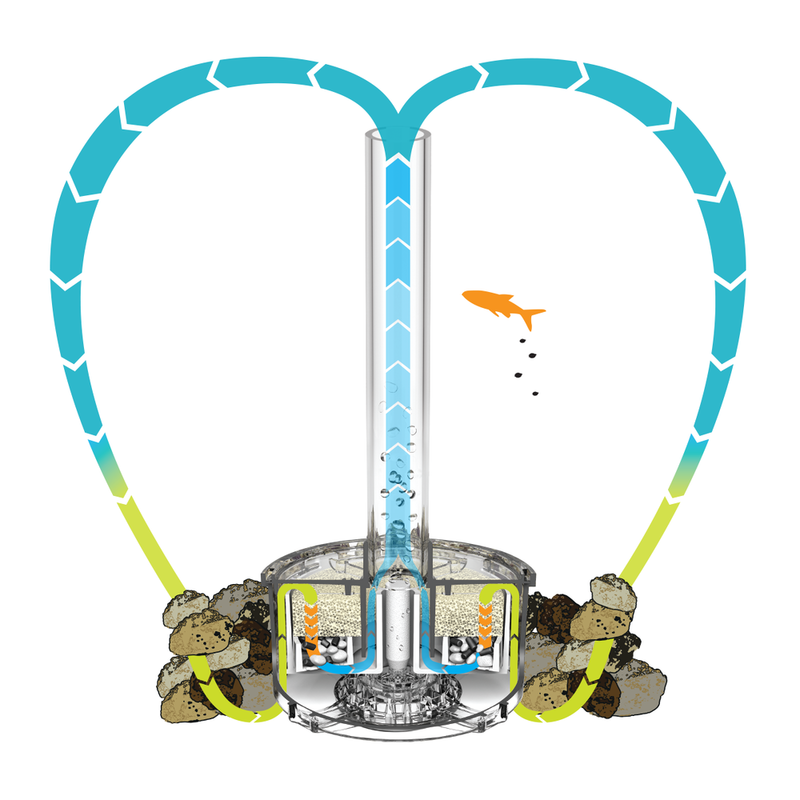 The BiOrb Flow 15L Tropical Aquarium is an all-in-one complete setup for housing small species of fish or shrimps, which is easy to manage and maintain. 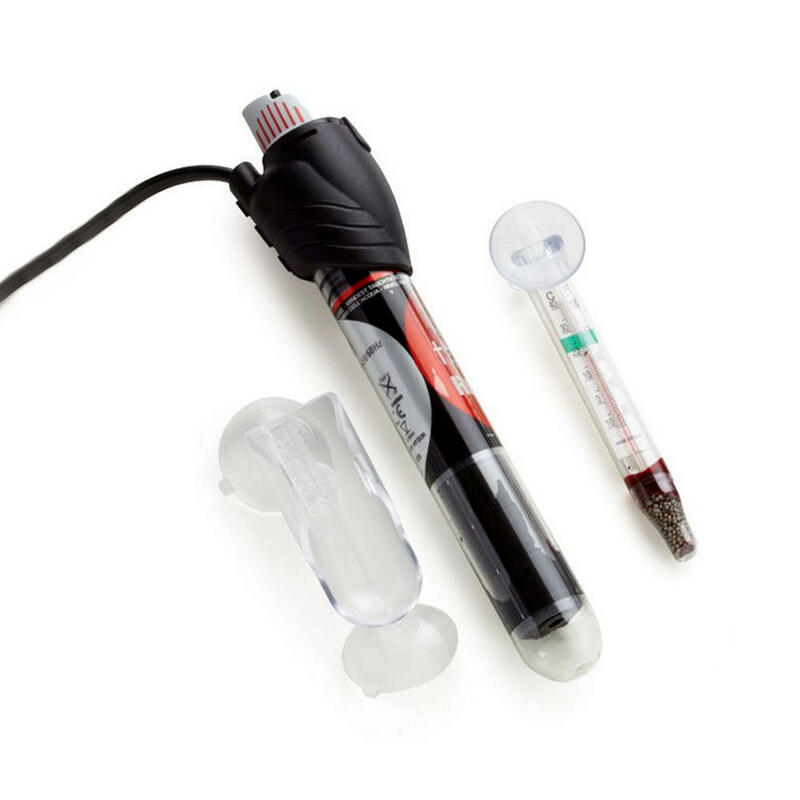 Featuring a complete filtration unit and LED lighting, the BiOrb Flow 15L features everything you need to get up and running without any hassle. 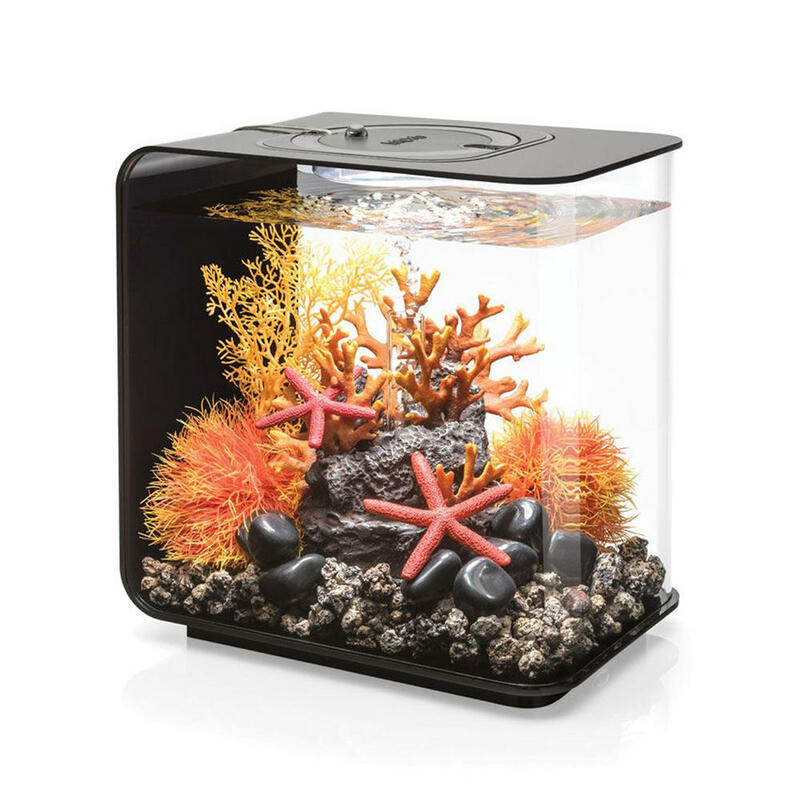 Included with the BiOrb Flow 15L is a biological filtration system, which uses ceramic media and friendly bacteria to keep your aquarium water clear and healthy. The air pump with air stone provides aeration to help keep your aquarium water oxygenated. 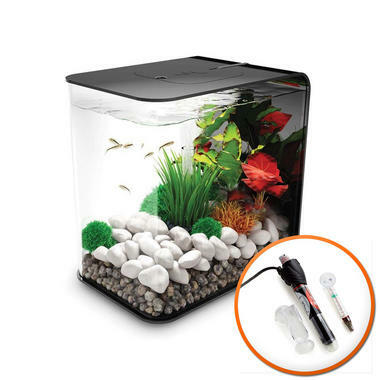 The LED Light unit allows you to enjoy viewing your fish during the day and at night, and features a curved underside which is designed to prevent moisture build up and helps to reduce the need for cleaning. LED lighting provides an energy efficient way of lighting up your aquarium without using up a lot of electricity, and can last up to 50,000 hours of use. 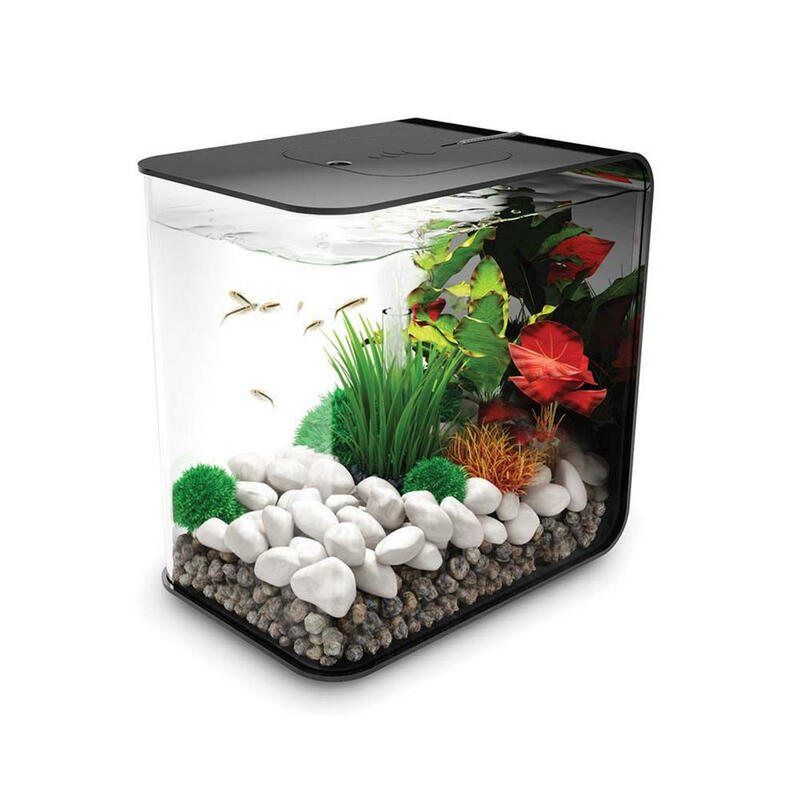 If you are looking for a small setup or are simply new to fish keeping, the BiOrb Flow 15L Fish Tank is the perfect all-in-one choice.